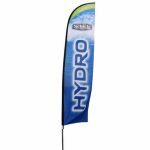 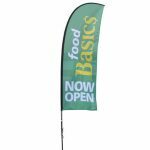 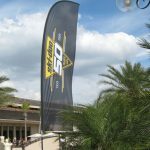 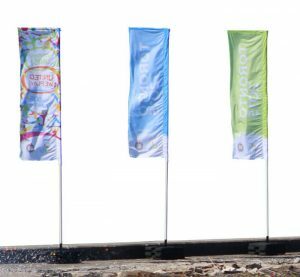 Offered in three standard sizes (5′, 9′, 13′), the Blade Flag offers a large visual surface, upon which you can display your printed graphics. 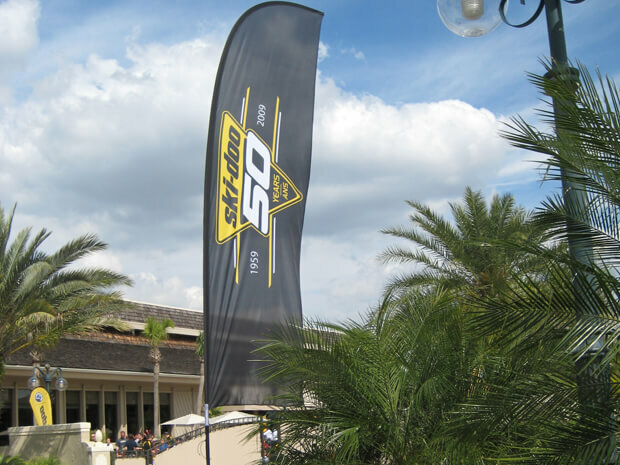 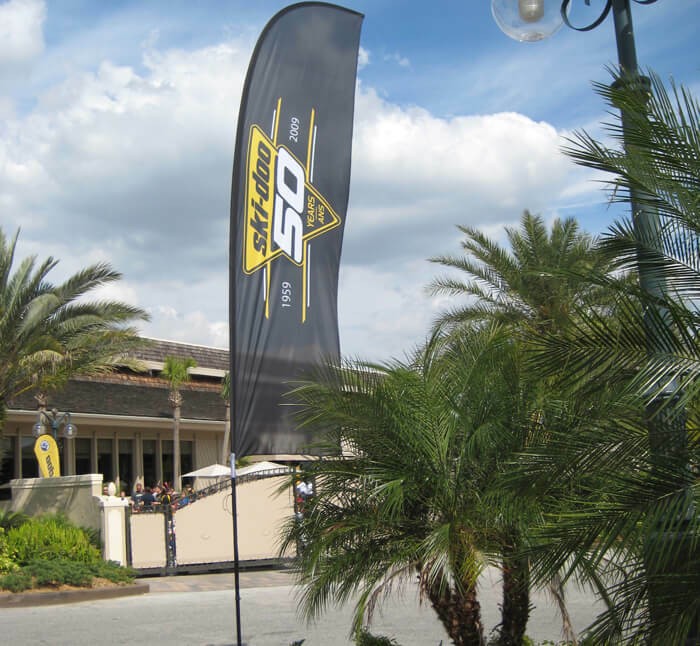 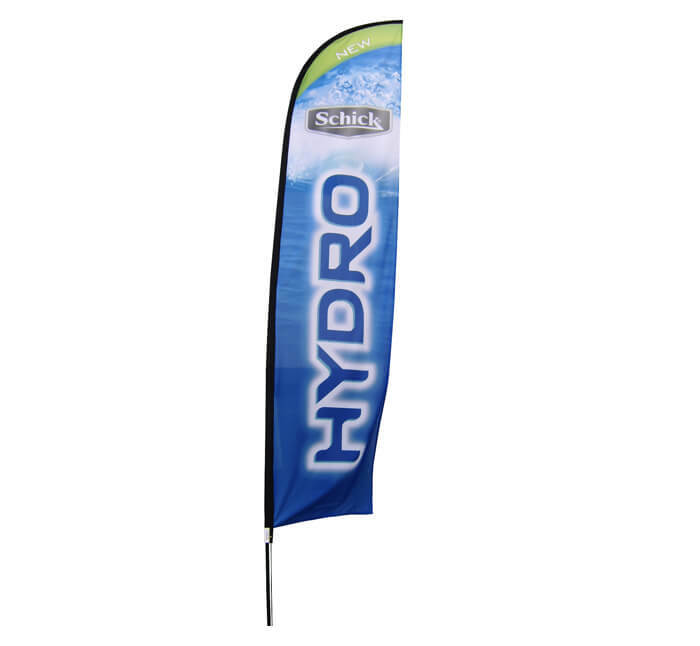 With a dye sublimated flag and modular flag pole system, your brand is always visible, in indoor and outdoor settings. 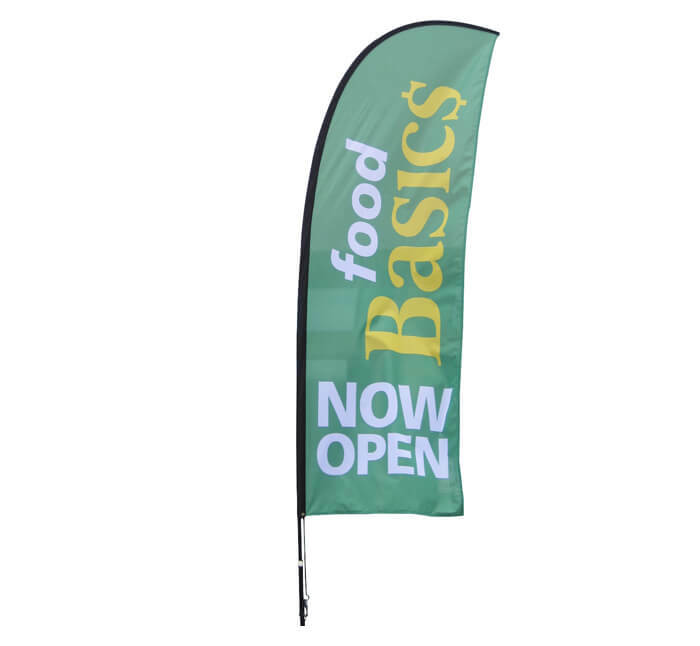 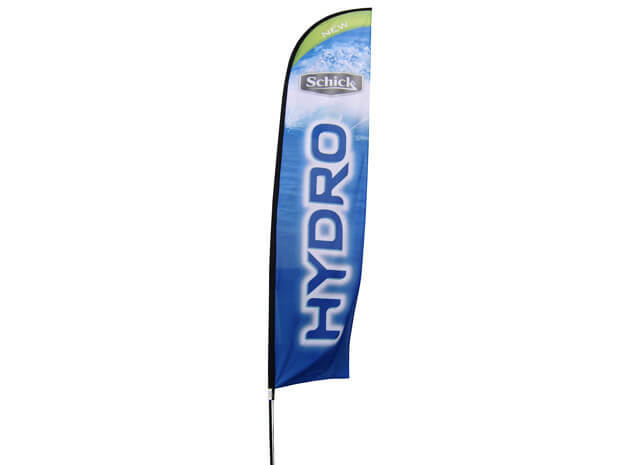 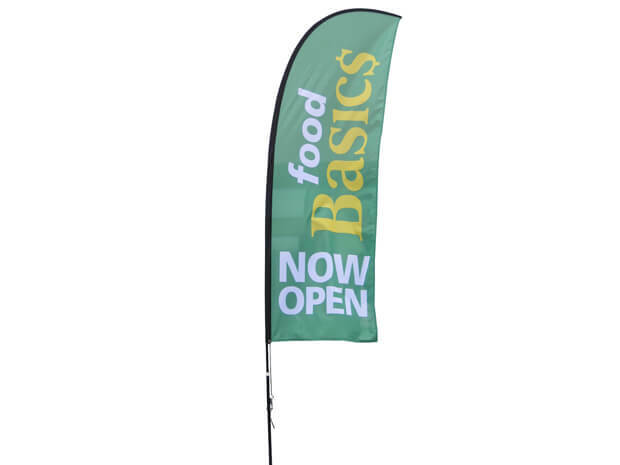 These lightweight, portable flags can be brought anywhere and installed within minutes. 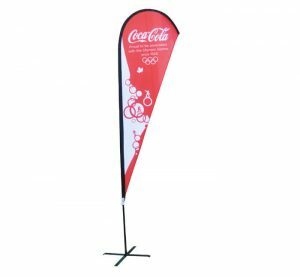 The Blade Flag is often used to complement our other products in order to create a branded environment.